Ready, set, grow with this lovely country farmhouse floor plan wreathed in windows and a covered wraparound porch. A palladian window in the clerestory dormer bathes the two-story foyer in natural light. 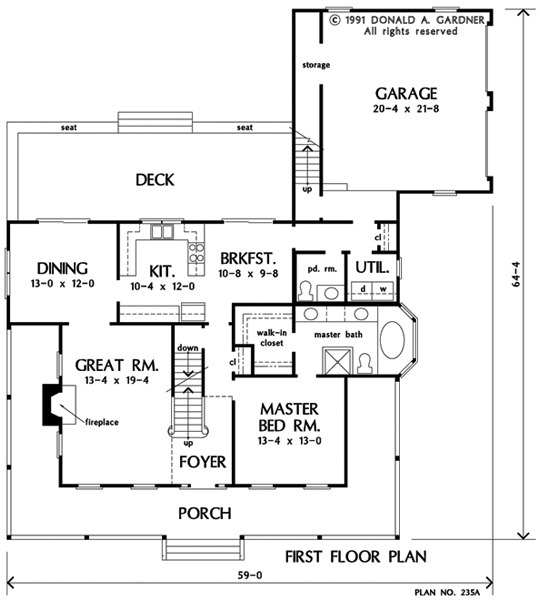 Nine-foot ceilings throughout the first level, except kitchen, add drama to the house plan. The private, first floor master suite has it all: whirlpool tub, shower, double lavs, and large walk-in closet. 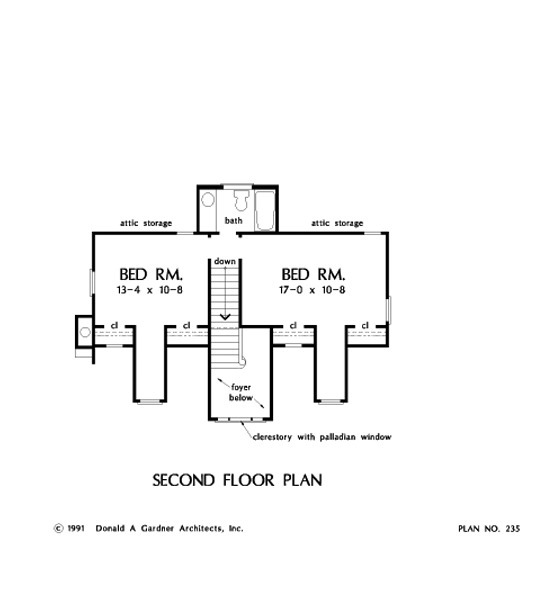 Upstairs, two bedrooms with dormers and attic storage access share a full bath. Keep growing with skylit bonus space over the garage. 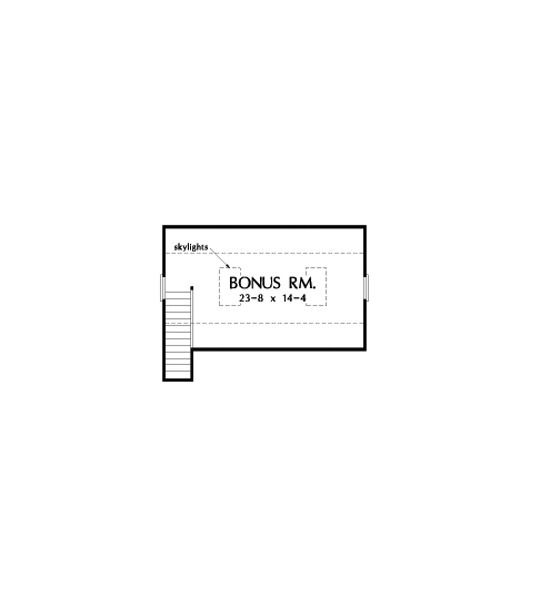 1st Floor: 1356 Sq. 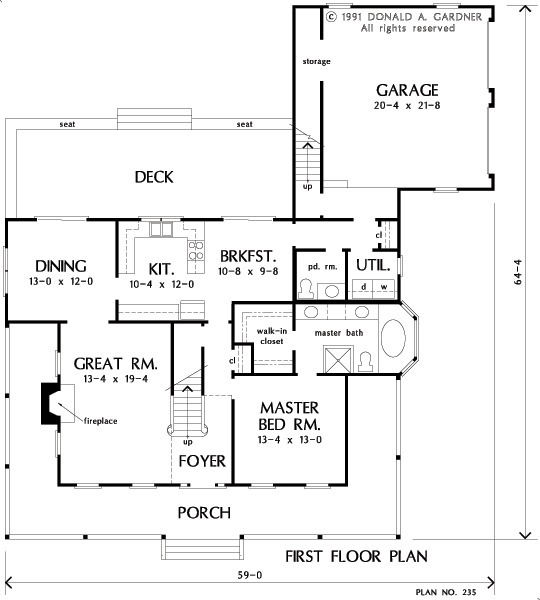 Ft.
House Dimensions: 59' 0" x 64' 4"
Foyer (Vaulted): 7' 4" x 5' 8" x 20' 0"
Kitchen : 10' 4" x 12' 0" x 8' 0"
Breakfast Room : 10' 8" x 9' 8" x 8' 0"
Utility Room : 6' 0" x 5' 10" x 9' 0"
Bonus Room (Vaulted): 23' 8" x 14' 4" x 8' 0"
Garage : 20' 4" x 21' 8" x 0' 0"
Garage Storage : 3' 0" x 19' 0" x 0' 0"
Porch - Front : 47' 8" x 6' 4" x 0' 0"
Porch - Right : 6' 4" x 13' 4" x 0' 0"
Deck / Patio : 34' 8" x 12' 0" x 0' 0"